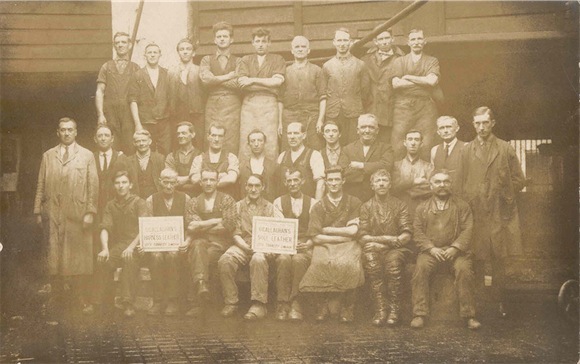 In 1929, Limerick was still at the forefront in industry in Ireland with the four bacon factories of Matterson, O’Mara, Denny and Shaws working to full capacity. The flour mills of Bannetyne and Russells both at the time under the control of Goodbody’s who were the largest flour manufacturers in the country. Thousands of men flooded to the area to work on the futuristic Ardnacrusha power station. The city was embracing the future while still clinging to manufacturing industries of the past. One of these older industries still in operation in Limerick in 1929 was the tanning industry though it was in decline. The Irish tan yards were famous for standards of the sole and harness leather they produced. At the turn of the twentieth century there were tanneries in Dublin, Cork, Limerick, Clonmel and Kilkenny, besides many smaller towns there were over twenty tanneries working in Ireland. By 1929 there were only four of any size, one being that of Messrs E O’Callaghan and Son, Ltd., Limerick with depots in Cork and Tralee. O’Callaghan’s tannery was founded by Eugene O’Callaghan (1800-1881) who was the Mayor of Limerick in 1864 and High Sherriff in 1866-7. Eugene O’Callaghan was originally from Cork. He set up O’Callaghan Shoes in Limerick in the 1830s and in 1856 he moved across the Abbey River to Cornwallis Street (now Gerald Griffin St) where the tannery remained until its closure. O’Callaghan Shoes used the leather produced in the family tannery. In 1929 his grandson Mr Daniel O’Callaghan was the managing director. Michael O’Callaghan (1879-1921), grandson of the founder of the firm, was an expert tanner, and managing director of the company up to the year 1921. He was Mayor of Limerick in 1920-21 and was involved in one of the most infamous atrocities in the history of Limerick City. On 7th March, 1921, the sitting Mayor of Limerick, George Clancy and Michael O’Callaghan and Volunteer Joseph O’Donoghue were brutally murdered during the War of Independence. Following the death of her husband Katherine O’Callaghan nee Murphy (1885-1961) was elected to Dáil Éireann in May 1921. She represented Limerick City and Limerick East in the second Dáil which was considered an illegal gathering as a result she was arrested in April 1923. She was taken to Kilmainham Gaol where she went on hunger strike and remained for nineteen days. 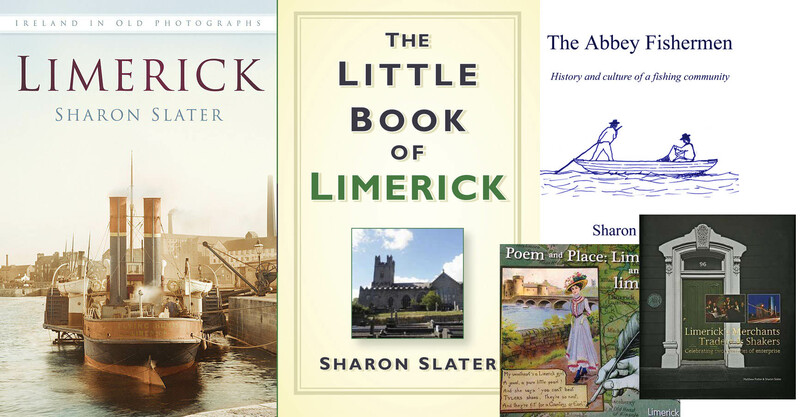 Following her release she left politics and returned to Limerick. The factory is complete with all the modern machinery and capable of turning out up to 2,000 hides a week with 300 employed though in recent years this had dropped considerably and now only minimum hands are employed at part time. The tannery was consumed by fire in 1950 causing a loss of 170 jobs in the short term. The factory was rebuilt and continued for another seventeen years when the building was bought by Michael Keane a director of Limerick Shoes Ltd.